We’re honored to once again be chosen as having designed the best Bar/Restaurant Integrated System by Commercial Integrator Magazine. The advanced integrated system we designed & installed at Buffalo Wild Wings (Princeton, NJ) will be highlighted in the July issue of Commercial Integrator Magazine and on their websites. Read more aboutBuffalo Wild Wings (Princeton, NJ) & see photos in our Commercial Project Portfolio. Throughout the course of a year, there are numerous integration projects completed, but what makes a project stand out from the rest? When judging CI‘s annual Integration Awards, the most noteworthy projects not only wowed us, but also represented innovative solutions that addressed customers’ needs. In addition to installing top-notch technology, these projects also caught our attention for how well the firm understood the clients’ unique challenges and how closely they worked with the client to ensure they delivered an effective problem-solving solution. What all of these 13 Integration Award-winning projects have in common is they’ve made their clients happy, helping to develop a trustworthy and reliable relationship with their customers. 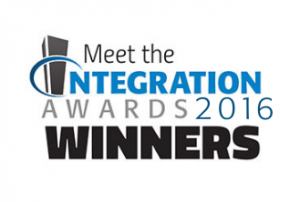 The goal of our fifth annual Commercial Integrator Integration Awards contest is to highlight impressive projects with the hope that our coverage will inspire new ideas and carry lessons for other integration firms. The editors of Commercial Integrator teamed up with the editorial staff of TechDecisions sister sites to pore over this year’s entries. Just like in past years, some projects immediately rose to the top of our consideration, while others merited spirited debate. Regardless of which projects won, one constant element shown through in each piece of work: tenacity and originality of thought and design that each firm brought to bear on its work, the client being the winner in the end. So we are pleased to present coverage of the winners for this year’s award-winning projects, which were formally announced at InfoComm 2016 in Las Vegas.